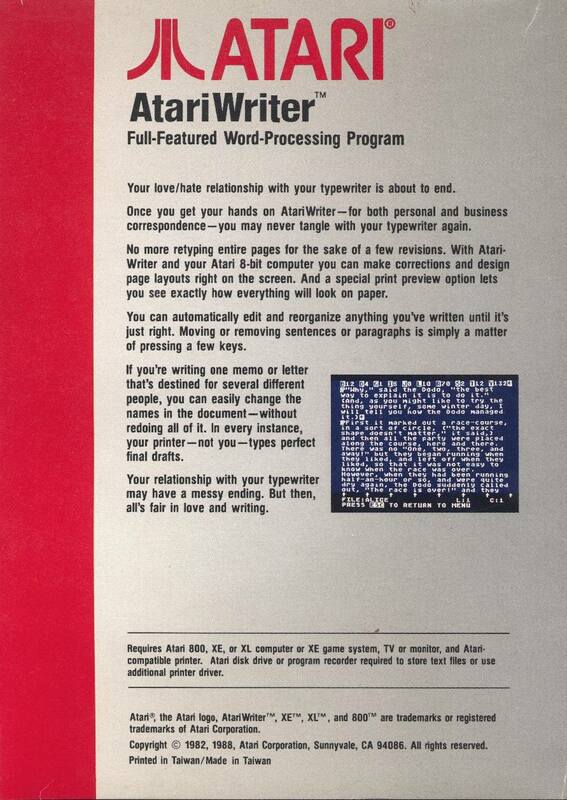 AtariWriter was one the more intuitive and quality word processing programs out at the time. I was more partial to SpeedScript 3.0 (that mammoth program from Compute!) 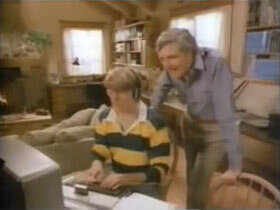 and the later, the TextPro series. 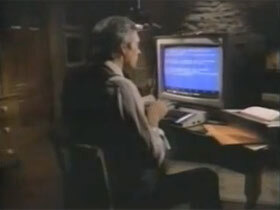 I believe TextPro was a modified SpeedScript since a lot of much of the operation and interface were identical. 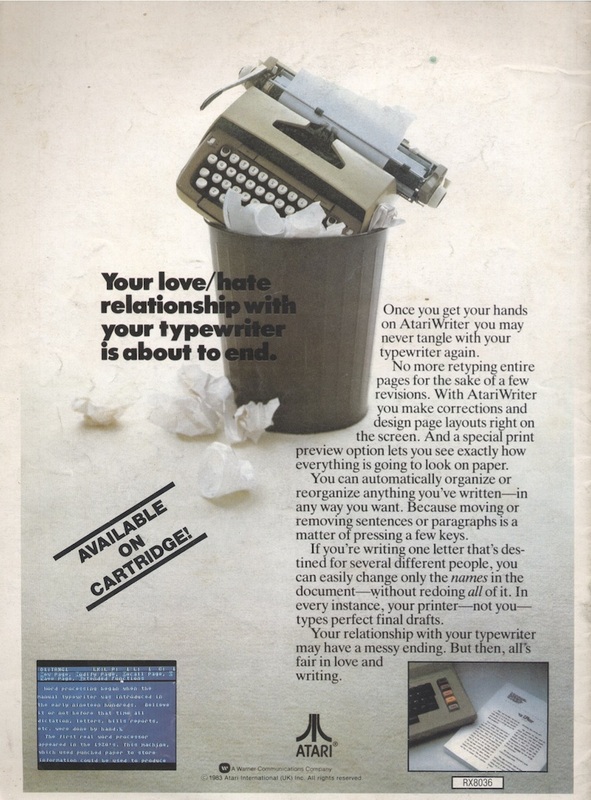 Those were the days, writing long term papers in 40-columns and with a keyboard buffer that never seemed to keep up to pace with my fast typing. 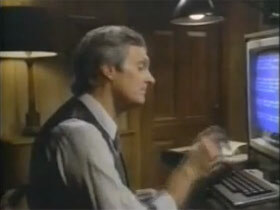 Not to mention having an über-noisy dot matrix printer that didn't even offer LQ printouts. It usually took like 10-15 minutes for it to complete! 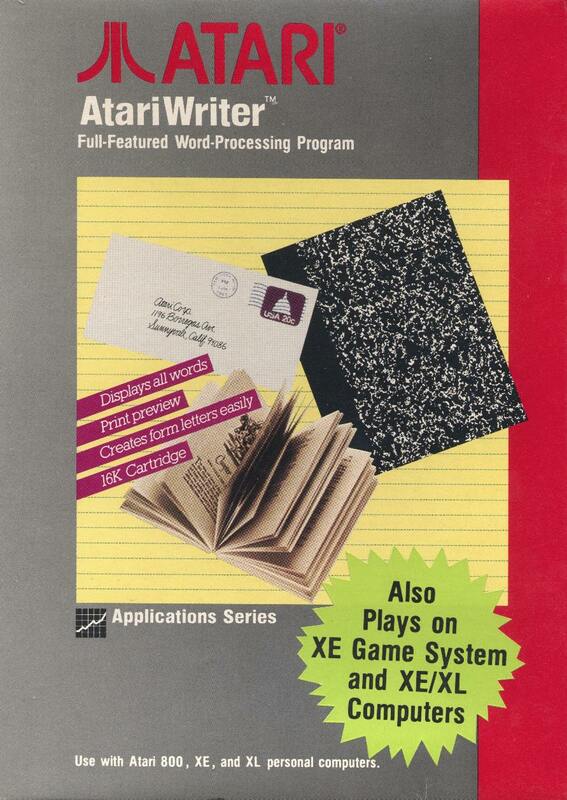 This was actually quite an impressive piece of software. 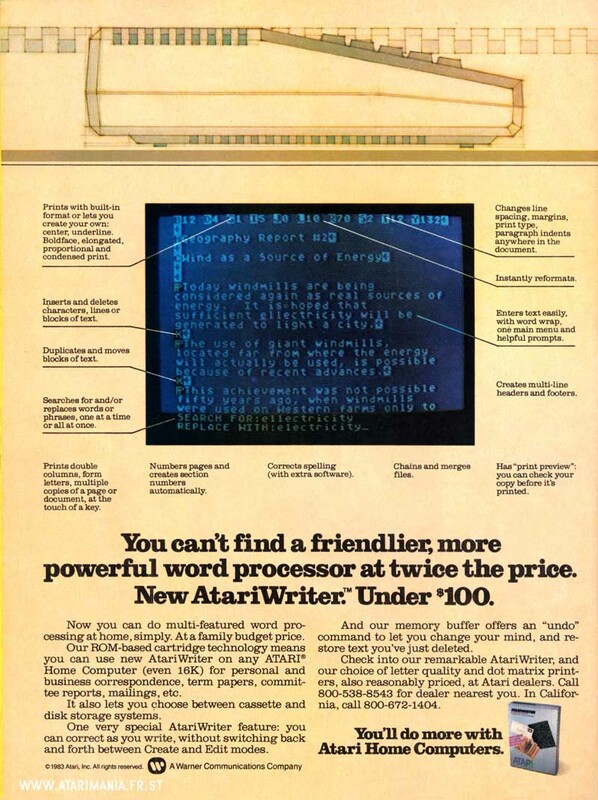 It is one of the earliest full-featured word processors I know of. There was even a dictionary disk called "Proofreader" to use for spellchecking. 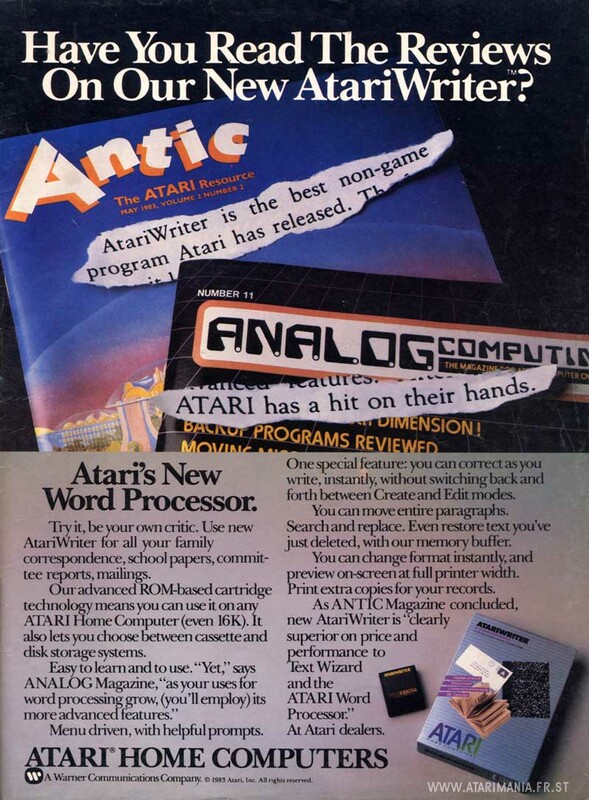 Atari (USA), Atari (USA), Atari (Italy).